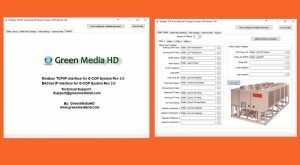 GCOP is the GreenmediaHD solution for Chiller Plant Optimization. 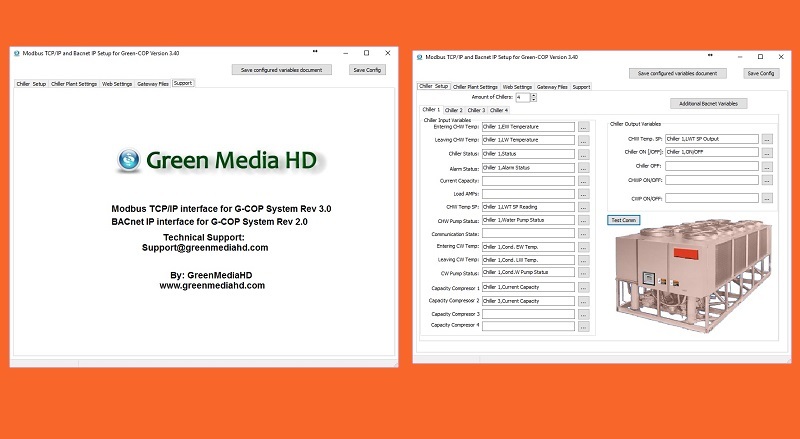 GreemmediaHD supplies and Optimizer Controller (GCOP) that is connected to the chiller plant communication network to receive and send information from each chiller control panel. 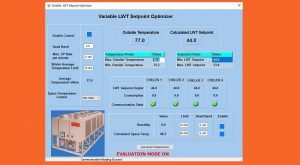 The GCOP makes an optimum adjustment of the cooling water temperature setpoint of each chiller, depending on changes in ambient conditions. 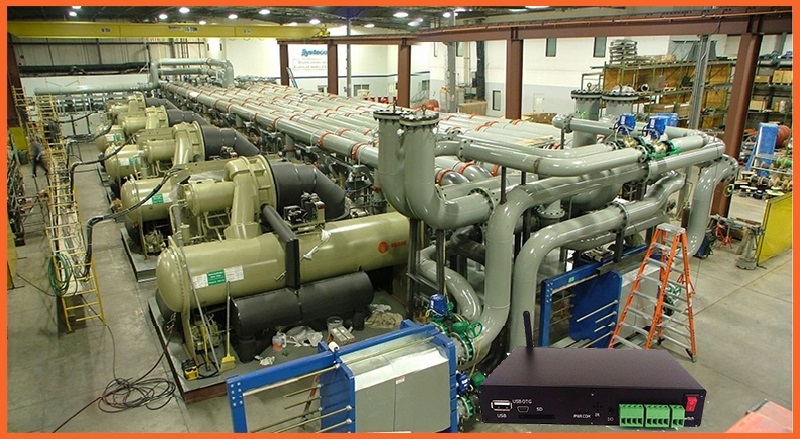 Typically, chillers installed in buildings are left with a fixed set point for the whole year and this setpoint is set to a very low value to ensure a comfort temperature in the most demanding cooling condition, resulting a higher energy consumption when less cooling demand is required. 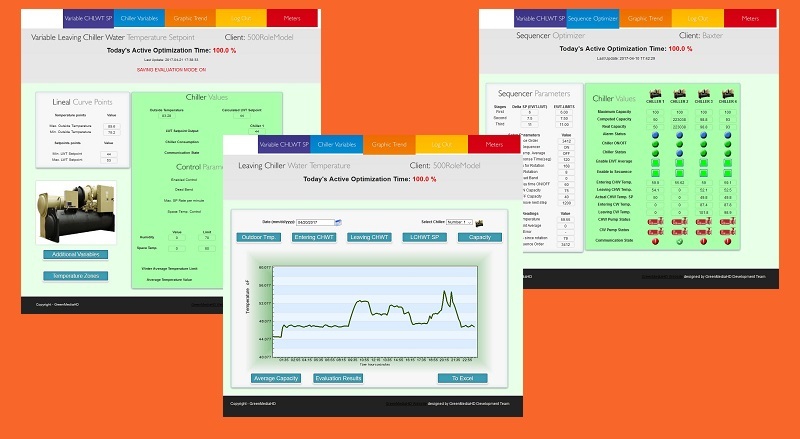 The GCOP uses AI (Artificial Intelligence) algorithms to modify the chilled water supply temperature setpoint to run the plant in an energy reduction mode. The GCOP learns the building load and chiller plant energy consumption to make the decision to apply the changes to the chiller plant and save energy. Another algorithm that the GCOP uses is the sequencing of the chillers, where, depending on cooling demand, the chillers will be started and each chiller will be guaranteed to reach a high percentage of capacity before turning on the next chiller. In this way, only the necessary chillers will be operating to satisfy the cooling demand and in addition, those chillers that are turned on, will be working at the point of capacity where they are more efficient. The communication protocol used by the GCOP is BACnet IP or Modbus TCP/IP, therefore we must have a BACnet or Modbus interface installed in the Chiller Control Panel, or we have to acquire and install the proper interface in the Chiller Control Panel. 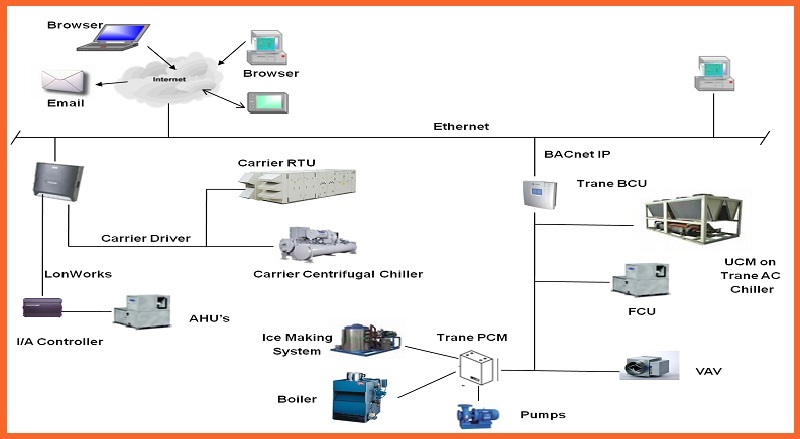 Fortunately, the main chillers manufacturers use this protocols to support network communication. So the first step is to guarantee that the Chillers Plant has installed the proper communication network interface in the control panel of each chiller. All the IP address of the control panels must be in the same local sub-network. 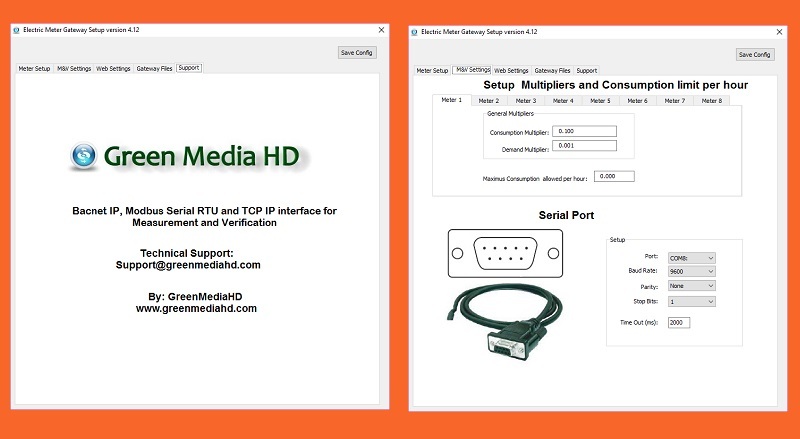 In a PC connected to this LAN, will be installed the GCOP_Setup program. 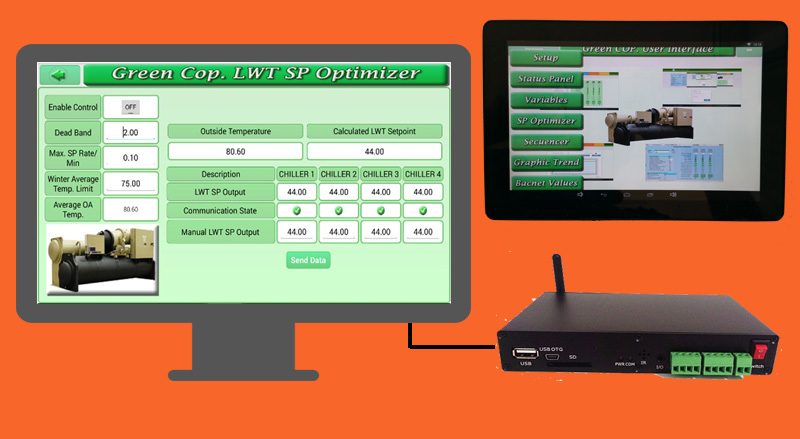 With the GCOP_Setup program, we get all the BACnet points of each chiller that identify all the parameters used in the optimization algorithms. Once we get all the necessary variables, we test the communication using the GCOP_Setup. With the GCOP_Setup we create the final configuration file and send this file to the GCOP. Then, the GCOP starts running the optimization algorithms, and you start saving energy. You can use the GCOP_Setup for supervision. 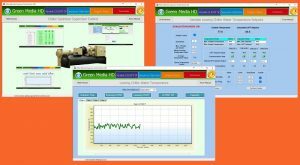 As a member of the GCOP Cloud Server, you can supervise the Chiller Optimization Solution and the Energy Savings from our Web Site any where in the world. 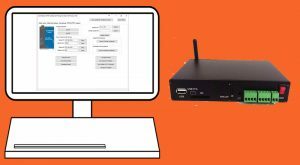 The GCOP also has an embedded BACnet Server so you can integrate the GCOP to an existing EMS to monitor and control the GCOP functionality. The GCOP has a mode of operation that allows evaluation of the savings obtained accurately. To get this, the GCOP automatically connects the optimization algorithms on the even days of the month and disconnects on the odd days. 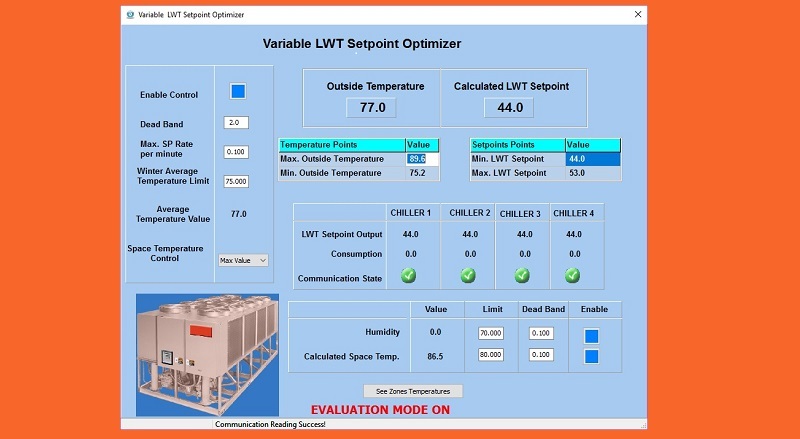 In both cases, the GCOP gathers in real time the energy consumption values of the chillers, reflected in the operating capacity of each chiller. 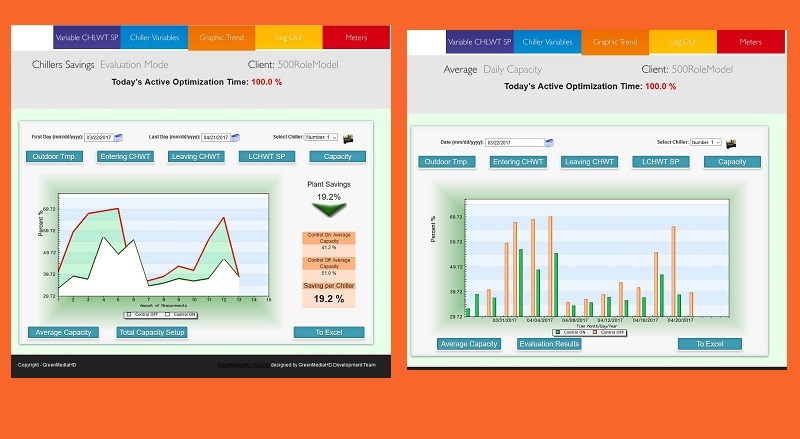 The fact of using an every other day in the control of optimization ensures uniformity in the environmental conditions for each day evaluated. 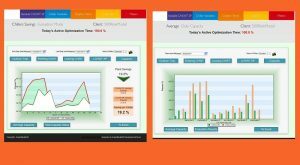 The results of this evaluations are displayed in form of graphic curves with precise values of the energy savings. 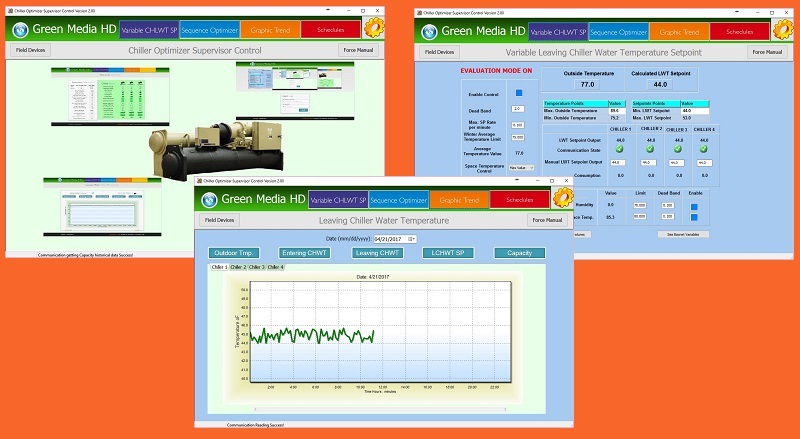 With GreenmediaHD you can also monitor the energy consumption of your building. To get these measurements, we install power meters in the zones of interest or we use the already installed power meters. 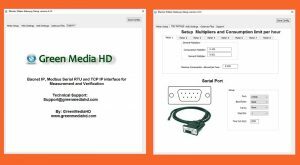 The communication protocols of the power meters can be BACnet IP, Modbus TCP/IP or Modbus Serial RTU. The power meters will be connected to the GCOP in the same sub-network. 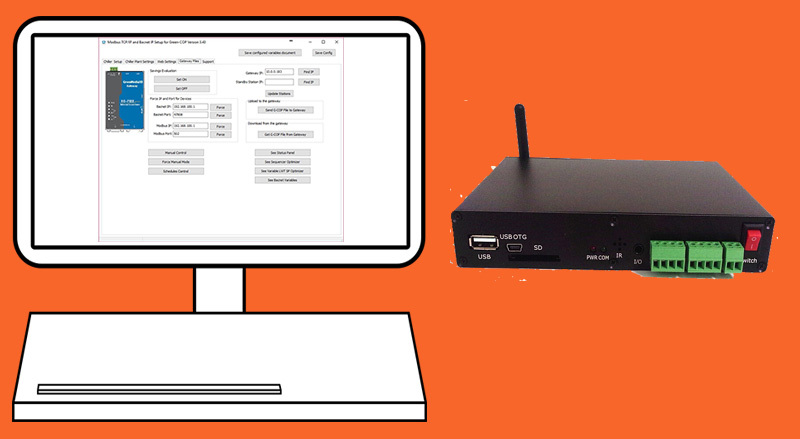 With the M&V_Setup, running on a PC connected to the same sub-network of the power meters, we configure the variables associated to the energy measurements. Once we create all the configuration file, we send it to the GCOP. 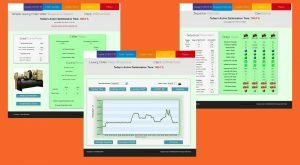 Finally, we can monitor the energy consumption from our Measurement and Verification Web Site. 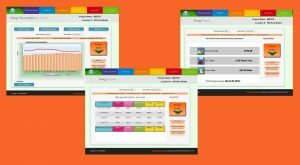 In this site the information is presented in form of list of values, graphics trends, comparative graphics, energy reports and more. 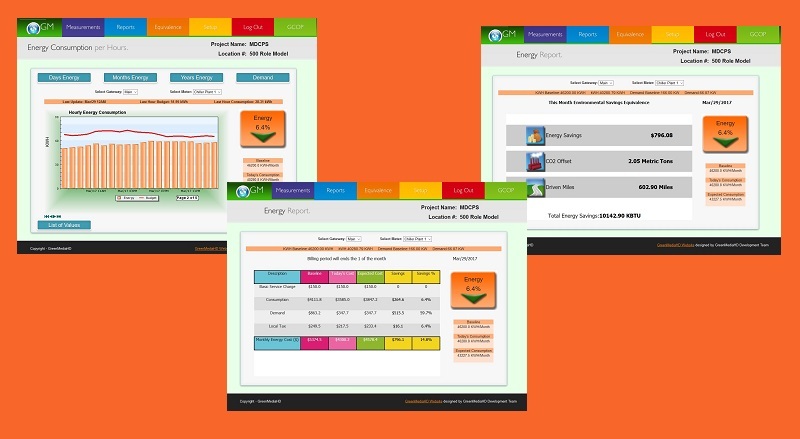 A continuos evaluation of energy consumption is made, where the Budget Plan is compared with the real time values, and predictions of the energy consumption at the end of the month are made to alert you about saving energy.